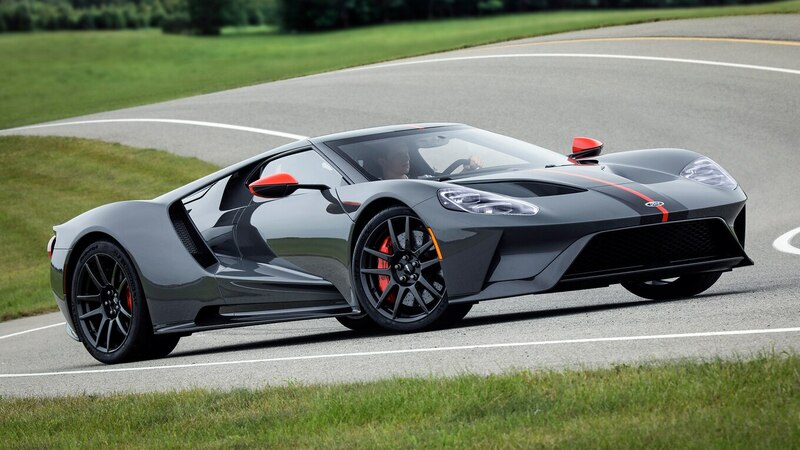 Ford has already announced two production increases for the GT supercar bringing the total to 1,350 copies through 2022. And the automaker continues to spice up the lineup with a third special edition version. The latest to break cover is the 2019 GT Carbon Series with its exposed carbon-fiber body and additional creature comforts for the owner who wants to be comfortable driving the car to the track, rather than trailering it. It is essentially the GT Competition Series but adds air conditioning, radio, and the Sync infotainment system. The Carbon Series is for those who track and want to drive there—not tow, said Hermann Salenbauch, Ford Performance global director. The Carbon Series, packing the same twin-turbo 3.5-liter V-6 engine, weighs 39 pounds less than a standard GT, and like the Competition Series it has gloss carbon-fiber wheels and lugnuts, a polycarbonate engine cover, and titanium exhaust. There are no cupholders or driver-side storage. 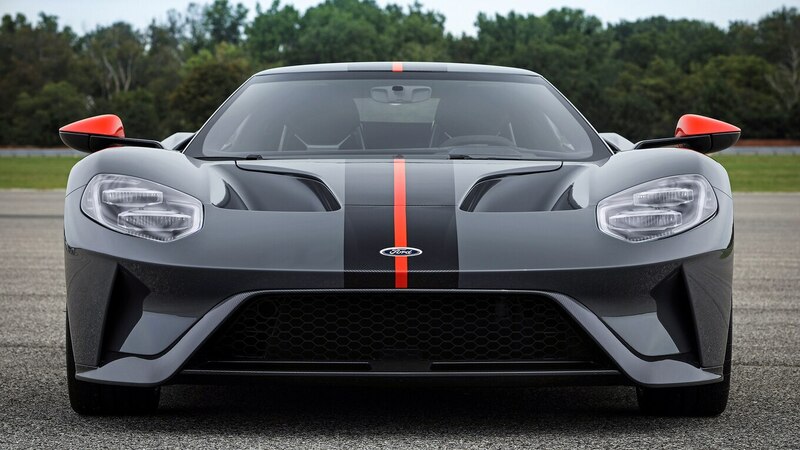 Like the Heritage Edition GT that Ford announced during the summer, the Carbon Series will be priced above the $500,000 base model. The Heritage Edition has the famous Gulf Oil paint scheme that pays homage to the GT40s that swept Le Mans from 1966 to 1969. The Carbon Series comes in a variety of colors and four accent colors for the center stripe, mirror caps, and calipers. The car is named for exposed swaths of the carbon fiber body. There is gloss instead of paint to highlight the weave on the exposed stripes, A-pillars, and lower body panels. Inside, there are matte carbon-fiber sills, a carbon-fiber center console, and other pieces showing off the exposed weave pattern of the composite material. GT production began in December 2016. The cars are made by Multimatic, the Canadian carbon fiber specialist that Ford contracted to make the cars in Markham, Ontario. It has been a slow ramp-up. Only 141 cars were made in the first year; production is now up to 250 a year, Salenbauch said. Ford said one of the four or five vehicles assembled weekly can be a special model. Salenbauch expects this latest Series to account for 50-100 of the mix over a number of model years. Ford wants to dominate SEMA Show coverage next week with more than 50 souped-up vehicles on display. In addition to the latest flavor of GT, it has a stable of five modified Mustangs, seven customized Rangers, and variants of SUVs including the Edge ST, EcoSport, Explorer, and Expedition. The post 2019 Ford GT Carbon Series Breaks Cover at SEMA appeared first on Motor Trend.